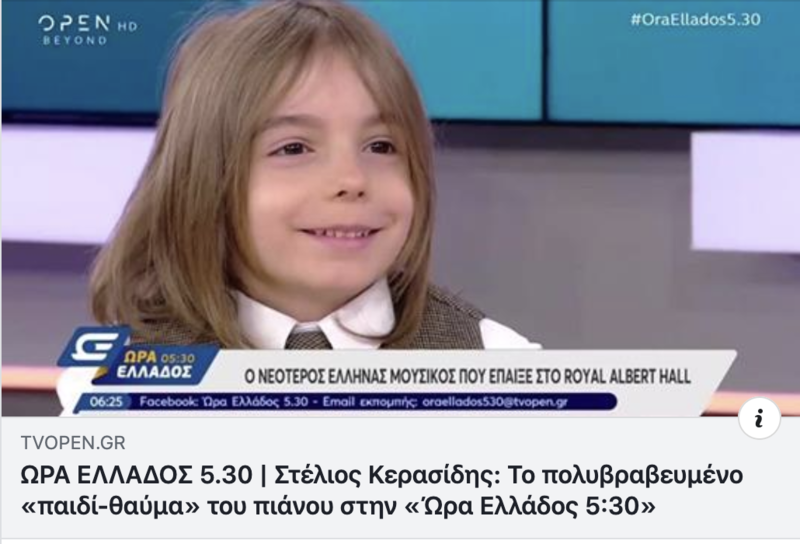 Stelios Kerasidis, a young pianist from Greece, appeared on Ώρα Ελλαδος Time of Greece TV programme after his performance at the Elena Cobb Star Prize Festival at the Royal Albert Hall Elgar Room on 4 April last week. The hosts Katzou Amalia and Vaggelis Giakoumis asked Stelios about his musical endeavours and his plans for the future. We would like to congratulate Stelios on his successful interview and support from the media in his home country! In the festival, Stelios performed Peony Pink by Elena Cobb from Higgledy Piggledy Jazz. 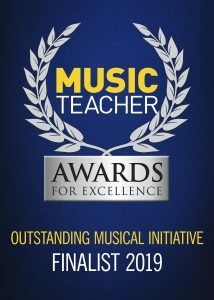 This entry was posted in News and tagged EVC Music, Stelios Kerasidis.